Born in Scotland in 1918, the son of a serving soldier who after the first World War moved the family to Kent where Norman spent most of his school days. 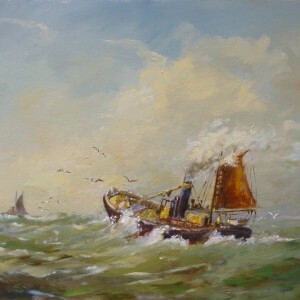 In 1931 another move brought them to Lowestoft where Norman studied at the local school. 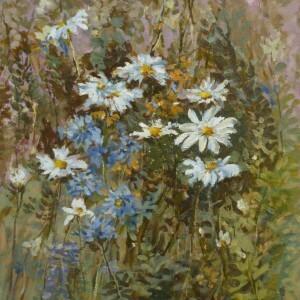 He followed his father in to the painting and decorating trade remaining a tradesman for the rest of his life. His father was a good artist and sign writer and young Norman learnt his artistic skills and studied life drawing at Lowestoft College of Art. 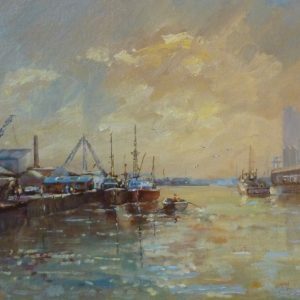 Norman excelled in oil, watercolour and acrylic, he favoured the East Anglian landscape which he painted ‘en plein air’, he was also skilled at flower painting, still life, portraiture and an excellent marine artist. 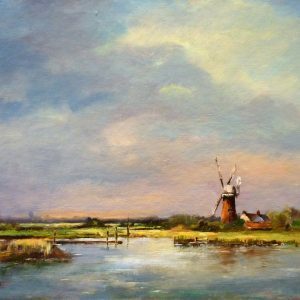 A member of the Southwold Art Group, Lowestoft Art Group, Oulton Broad Art Circle and Beccles Society of Artists, winning many trophies for his paintings. He died in 2008 age 90.